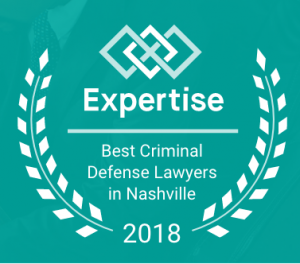 Expertise scored 140 criminal defense lawyers in Nashville on more than 25 variables across five categories and ultimately named the 19 top criminal defense lawyers in Nashville, and Himmelberg & Associates is honored to be included in that group! For over two decades, we have worked tirelessly to defend those accused of all types of crimes in courthouses across the state of Tennessee, and it is humbling to be recognized for those efforts. At Himmelberg & Associates, we understand that people come to us during the worst days of their lives. Don’t wait until it is too late. If you or a loved one are arrested, call us immediately. Let us help you get your life back to normal. Call our office at (615) 353-0930, or you can reach Don at anytime at (615) 308-5405.